Hopper, Edward (1882-1967). American painter, active mainly in New York. 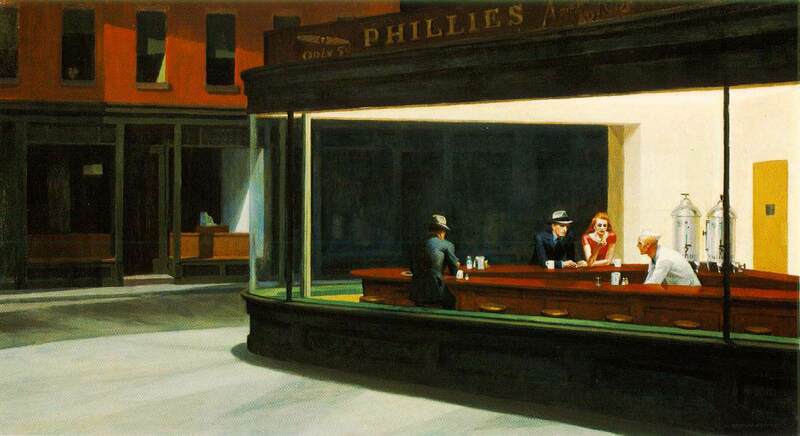 Paintings such as Nighthawks (Art Institute of Chicago, 1942) convey a mood of loneliness and desolation by their emptiness or by the presence of anonymous, non-communicating figures. But of this picture Hopper said: `I didn't see it as particularly lonely... Unconsciously, probably, I was painting the loneliness of a large city.' Deliberately so or not, in his still, reserved, and blandly handled paintings Hopper often exerts a powerful psychological impact -- distantly akin to that made by the Metaphysical painter de Chirico; but while de Chirico's effect was obtained by making the unreal seem real, Hopper's was rooted in the presentation of the familiar and concrete. Edward Hopper painted American landscapes and cityscapes with a disturbing truth, expressing the world around him as a chilling, alienating, and often vacuous place. Everybody in a Hopper picture appears terribly alone. Hopper soon gained a widespread reputation as the artist who gave visual form to the loneliness and boredom of life in the big city. This was something new in art, perhaps an expression of the sense of human hopelessness that characterized the Great Depression of the 1930s. 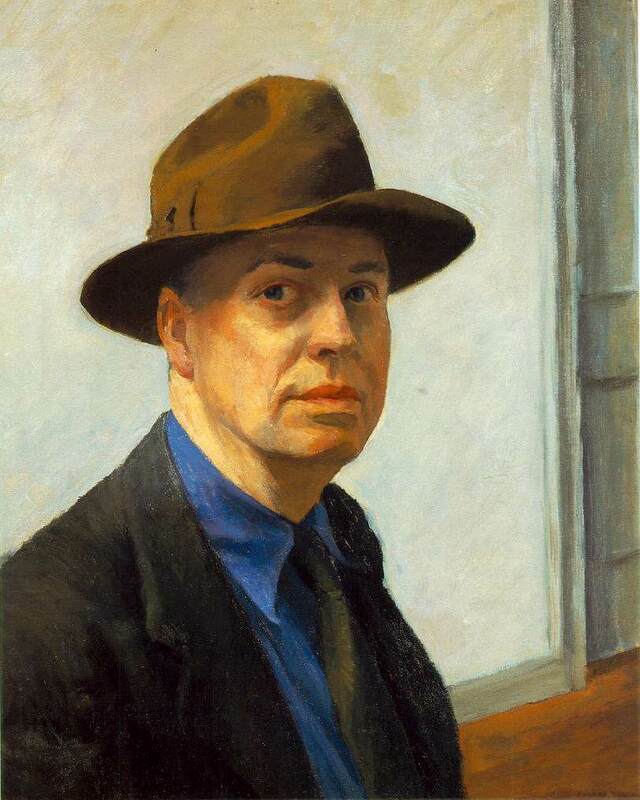 Edward Hopper has something of the lonely gravity peculiar to Thomas Eakins, a courageous fidelity to life as he feels it to be. He also shares Winslow Homer's power to recall the feel of things. For Hopper, this feel is insistently low-key and ruminative. He shows the modern world unflinchingly; even its gaieties are gently mournful, echoing the disillusionment that swept across the country after the start of the Great Depression in 1929. Cape Cod Evening (1939; 77 x 102 cm (30 1/4 x 40 in)) should be idyllic, and in a way it is. The couple enjoy the evening sunshine outside their home, yet they are a couple only technically and the enjoyment is wholly passive as both are isolated and introspective in their reveries. Their house is closed to intimacy, the door firmly shut and the windows covered. The dog is the only alert creature, but even it turns away from the house. The thick, sinister trees tap on the window panes, but there will be no answer.